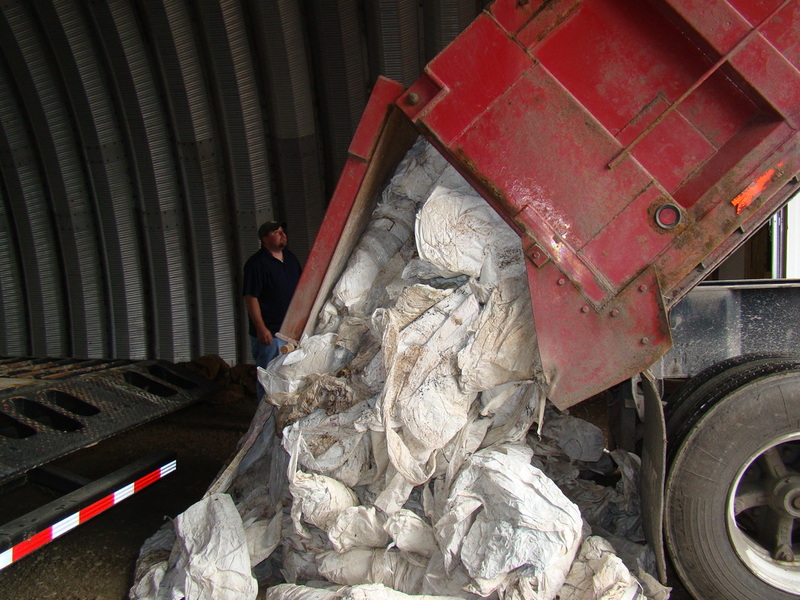 The Schuyler County Soil and Water Conservation District has been working jointly with the Chemung County Soil and Water Conservation District for the past two years to collect and bale Agricultural Plastic in the two county area. Over the two years the counties have bailed over 40 two ton bales of plastic. The hardest part of this issue is finding a source to recycle the plastic into a useable item. In 2011 the Chemung County District found a source in California that utilized the plastic for an experimental side walk project. We are continuing to look for steady markets so we can expand our collections. **The Schuyler SWCD wants to thank the Chemung County SWCD for assisting us in this program. They have been able to provide us with their bailer and allowing us to store the plastics in their cold storage building.